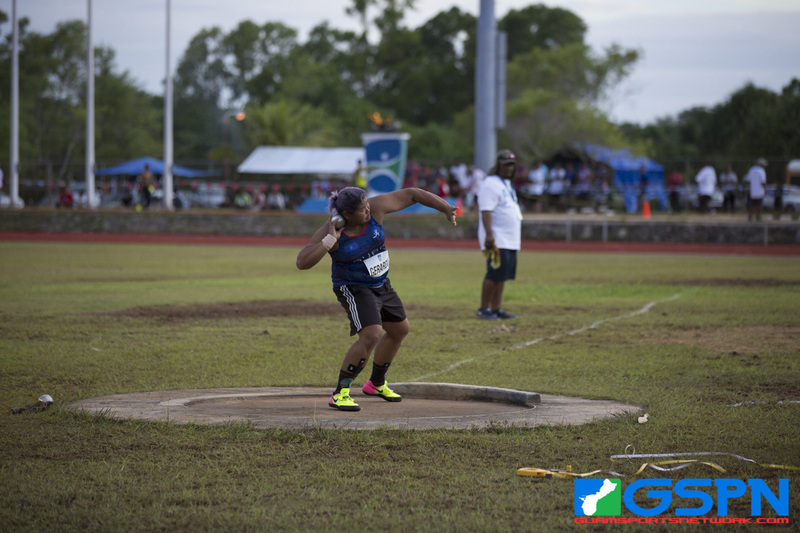 Colonia, Yap – 8 more medals were collected form Guam’s Track & Field athletes on Day 2 of the Micro Games! Regine Tugade has already established herself as the fastest female in the Marianas, she just needed to give the Marianas a live look at the speed. Tugade ran through the finish line to win a 400m gold medal, followed closely behind by Guam’s Madison Packbier who took silver. Guam also collected medals in shot-put with Genie Gerrardo taking the top while setting a Micro Games and Guam National Record! Amanda Cruz rounded out Guam shot put by taking bronze. Guam dominated the 5000m with Ryan Matienzo breezing right through the competition as Ben Middlebrook followed up with a silver medal. Genina Criss was unmatched as she too brought in a gold medal in the 5000m. JFK Islander Joseph Aguon medaled bronze in the 400m, but he becomes only the second Guam athlete to even medal in the 400m.